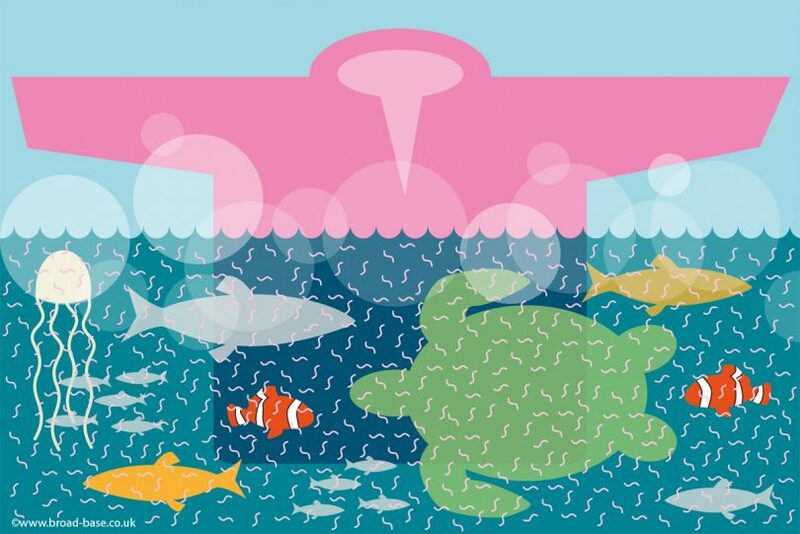 Plastic soup is the name given to the garbage that causes sea pollution. Plastic bags, bottles, drinking straws and sweet wrappers find their way into our oceans at the rate of a truckload every minute (1). But one of the worst components of this plastic soup is not the stuff you can see but the invisible microfibres you can’t. These tiny fibres are shed from synthetic fabrics every single time they’re washed. They are poisoning marine life and finding their way into the food chain. Wash less. This will prolong the life of your clothes. As clothing deteriorates it sheds more fibres. Washing machines make laundry easy so we often wash items after just one wear. Make sure clothes need to be laundered before putting them in the wash basket. Wash well. Don’t wash a half load, don’t use a long wash cycle, don’t wash on high temperatures and use liquid detergent instead of powder. 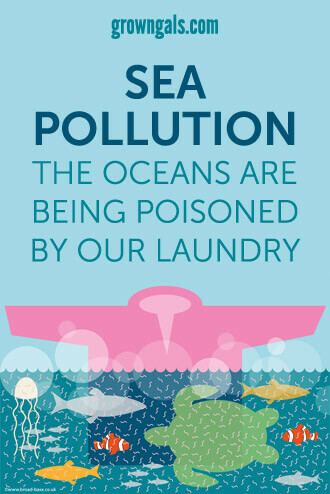 All of these actions will minimise damage to clothes during washing and prevent them from releasing even more fibres. Bin it. Throw synthetics away as soon as they show signs of age. Don’t use them as cleaning cloths as their fibres will be flushed down the drain with the dirty water. Throw it. The lint that accumulates in the dryer contains microfibres – it needs to go in the bin not down the drain. Buy well. Instead of buying lots of clothes made with synthetic materials, such as acrylic, polyester and viscose, invest fewer pieces made in natural fibres. Wool and cotton may be a bit more expensive but they will wash and wear well. Think plastic. Start to think about and notice how much plastic you use. Recycle every last bit and if you cannot find a recycling bin when you are out and about take it home with you. There is no ‘away’ when it comes to plastic and much of it ends up in the oceans. If you’ve read my A–Z of Spring Cleaning Tips you’ll realise that doing less laundry goes against the grain for the self appointed queen of clean. But I now realise that, over the years, my weekly washes have increased. Him indoors is now under strict instructions to ‘layer’ and only pop the dirty stuff in the wash basket. A big problem for my household is that our gym kit is synthetic. It’s designed to breath and stay dry during a workout. If you’ve ever gone for a run in cotton you’ll know that it soon gets heavy and soaking wet. Whilst I’m happy to choose natural fibres most of the time, its almost impossible to get rid of all synthetics. Surely there must be a way of capturing those microfibres so we can keep the stretch fabrics we’ve grown to love? The answer might be the GuppyFriend or the CoraBall. Both claim to catch microfibres before they leave the machine. It will be interesting to see how many more products are developed in the coming months. Only when a fully-tested, affordable and mass produced solution hits the market will it start to have a real impact on the billions of wash cycles completed every day. A recent study reported in The Guardian found that in global tests 83% of the world’s tap water is contaminated with microscopic plastic fibres. It’s an issue that effects us all and needs to be at the very top of the global agenda. Sometimes it feels as if science is always playing catch-up. Many advances in technology also have the potential to cause damage to the environment that we only become aware of after decades of use. We’ve benefited from the mass production of synthetics but now it’s time to make good on the damage it’s caused. If we get this right we can continue to use plastic sensibly and save our planet for generations to come. (1) Source: Greenpeace: ‘A truckload of plastic enters our oceans every single minute – killing marine life and threatening precious ecosystems’.